Leah Kirchmann: Back in Belgium..
After team training camp and some awesome racing with Colavita at the San Dimas stage race I hopped on a plane from LA to Belgium. 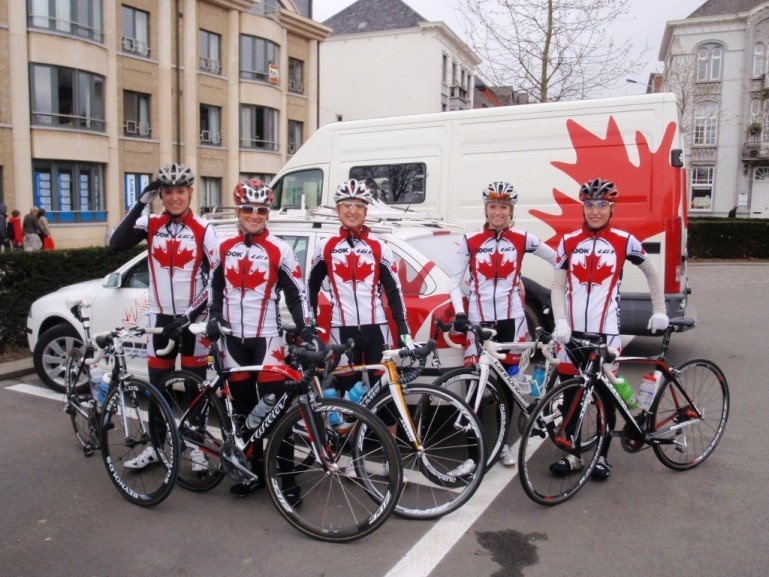 I'm now at the Canadian base in Tielt-Winge, Belgium and will be here for the entire month of April. We are doing most of the same races as last year with a few minor changes in the schedule. 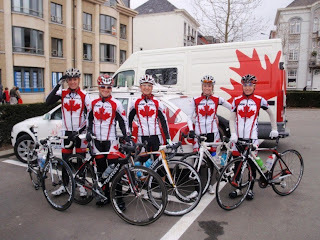 First up on the schedule was the Tour de Flanders last Sunday. Definitely one of the coolest road courses I've ever experienced! My body was pretty shook up after all those cobbles. I got caught up behind a few crashes during the race so ended up in a group a few minutes back from the winner. I was still excited to have finished and survived such a crazy race. All the spectators out watching on the hills were really motivating. Next up was the Tour de Dottignies yesterday.Last year I was dropped pretty early after being positioned too far back in the group going into the climbs. I went in with the goal to really fight for good positioning and it paid off. I managed to make it over the climbs and into the finishing circuits with the main group of 60 riders. It was pretty sketchy riding through the circuits and I did have a minor crash with a few laps to go. I did however choose a very convenient place to crash.. the race was neutralised about 30 seconds after it happened due to a raised bridge. I escaped with very minor injuries and didn't even have to chase back to the group, lucky me! The race came down to a bunch sprint where I finished 12th, and top U23, major improvement to last year! Next up is a 4-day stage race in Holland.